This degree programme focuses on the broad areas of accounting and management, with an international emphasis. You can also achieve a significant amount of credit for prior learning with respect to the ICAEW’s Associate Chartered Accountant (ACA) qualification. This programme combines two key areas of business practice to provide students with a firm grounding for a variety of careers including accountancy, banking, retail, marketing and the civil service. You will gain a range of professional and technical skills, and a heightened sense of commercial awareness that will be immediately transferable to the business environment. The accountancy element covers the core areas of financial reporting, management accounting and business finance and will enable you to develop detailed knowledge, critical understanding and a range of technical application skills. This is complemented by the management aspects of the programme, which explore the factors, both internal and external to an organisation, that impact on its success. You will continue to study the core areas of accounting in your second and final years, while the management element will enable you to tailor your degree towards your own interests by exploring areas such as marketing, organisational behaviour, strategy, information systems, human resource management, entrepreneurship and ethics. In your third year you have the choice of a one-year work placement or an optional work placement module, which will provide a valuable opportunity to apply and further develop your knowledge and skills. This experience will also enhance your CV and future graduate employment prospects and help you to build a professional network. Graduates of BA Accounting and Management can apply for exemptions and/or credit for prior learning from the professional accounting bodies. You will graduate with knowledge and professional skills, and a heighted sense of commercial awareness that will be immediately transferable in a business environment. 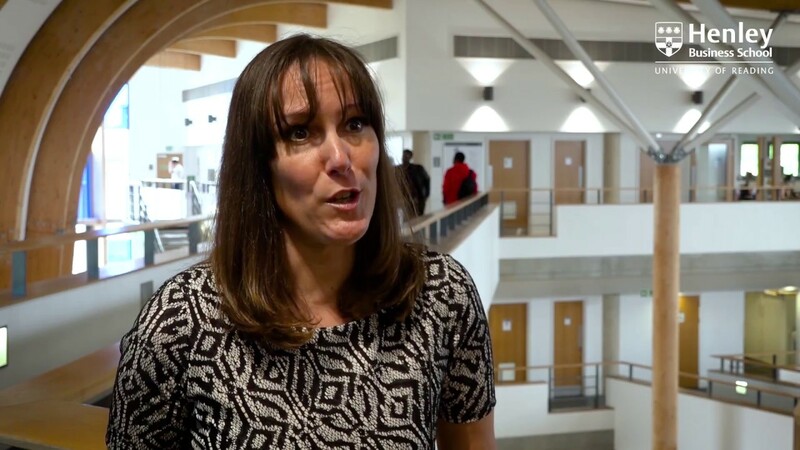 Who better to talk about life at Henley Business School, than one of our students! See what Adam has to say about his experience so far. You will be taught through a mix of lectures, group projects and interactive classroom lessons. This variety gives you the opportunity to discuss, explore and apply the subject material in depth with your lecturers and fellow students. You'll be introduced to the latest thinking and research findings which will help develop your critical thinking and problem solving abilities. You will explore and tackle real-world challenges which will give you the opportunity to test, extend and refine your knowledge and skills. Programmes are assessed through written assignments, group presentations and formal examinations. Not only does this ensure that you are a rounded individual, but also to ensure you have developed your transferable skills which are highly sought after by leading graduate employers. It is recommended that a typical 20 credit module will require a total of 200 hours of study. The amount of contact hours this will involve varies from module to module, students will select modules equating to the value of 120 credits per academic year. The University's exam period falls between April and June in the summer term whilst other forms of assessment take place throughout the academic year. We believe that effective leadership requires more than first-class business expertise or professional knowledge. It also requires a degree of self-awareness and sensitivity. Our approach is designed to nurture intelligent graduates who can be fully effective in their chosen careers. Work placement or internship opportunities will help you to apply and further develop your understanding and capabilities in a working environment. Competition for places on our undergraduate degree programmes is strong so we advise that you apply as early a possible. If you have any questions throughout your applicant journey please don’t hesitate to contact us. Remaining 60 credits will be made up of optional modules available in the Henley Business School and modules from elsewhere in the University. Modules are subject to availability and resourcing. Optional Modules for Part 2- Students must choose optional modules to the value of 40 credits available in the Henley Business School and modules from elsewhere in the University. Modules are subject to availability and resourcing. MM284- Work placement experience (including minimum 9 month, full-time work placement or you can alternatively study abroad. Students who have completed two years of study and for whom a work placement is unsuitable, can progress directly into the third (final) year of study, converting this into a three-year degree programme. For students who do take a year-long placement or study abroad, Part 3 as described below may be subject to variation. AC313 'Business and Professional Ethics' is a core module. Remaining credits will be made up of optional modules available in the Henley Business School and modules from elsewhere in the University. For students taking BA Accounting and Business, which contains placements in years 2, 3 and 4, the fee level will be set at 80% of the full fee in these years. Please see further information on student finance or contact studenthelp@reading.ac.uk. 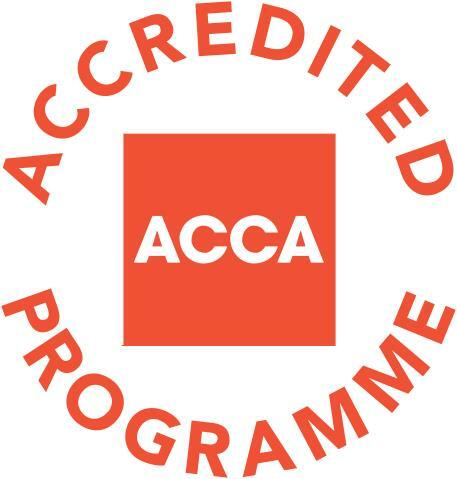 The Association of Chartered Certified Accountants (ACCA) is the global body for professional accountants, ACCA awards a specific level of exemption to graduates, which matches the knowledge and skills gained from their degree qualifications. Students will be partly qualified Chartered Certified Accountants once they complete their degree programmes at Henley Business School successfully. I decided a degree in accounting and management would give me a wider perspective of businesses in general. I was aware that I would need some work experience in order to apply for a graduate job and it gave me the opportunity to decide if assurance was right for me. I was offered a graduate job in September 2011 without any additional interviews.